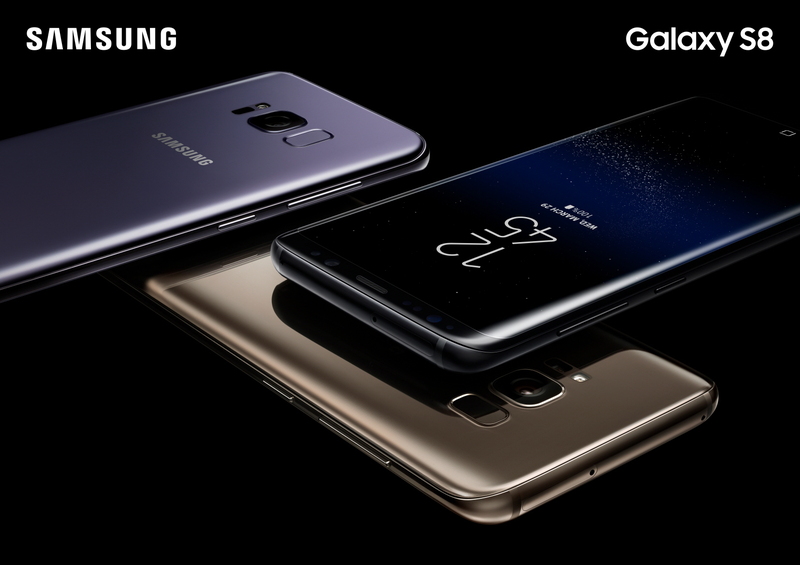 Finally, after numerous leaks and rumors, the Samsung Galaxy S8 & S8+ have been officially announced. Both the devices differentiate in screen size and battery capacities, that is, 5.8-inches and 6.2-inches with extra-tall 18.5:9 aspect ratio displays. That battery difference is pretty marginal: 3500mAh for the Galaxy S8+ and 3000mAh for the standard Galaxy S8. 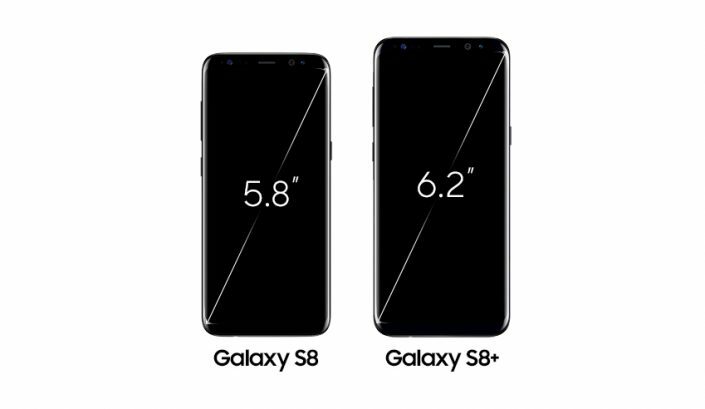 Both Samsung Galaxy S8 & S8+ come with – Infinity Display, Bixby, Iris Scanner, Wireless Charging+ have a Quad HD+ (2960 × 1440 pixels) curved Super AMOLED pressure sensitive display. They both are powered by a Qualcomm Snapdragon 835 / Exynos 8895 depending on the region, comes with 4GB RAM & 64GB onboard storage with micoSD card expansion. Both the device runs on Android 7.1.1 (Nougat) with TouchWiz UI out of the box. The displays have a new 18.5:9 aspect ratio with a QHD+ resolution, meaning they’re extra tall while staying relatively narrow. Samsung has also moved to on-screen buttons and reduced bezel size dramatically in order to fit as much screen into the body as possible. Hence the fingerprint scanner is shifted next to the camera lens. Iris scanning makes its return in a new-and-improved version from the Note 7 to hopefully pick up the slack. 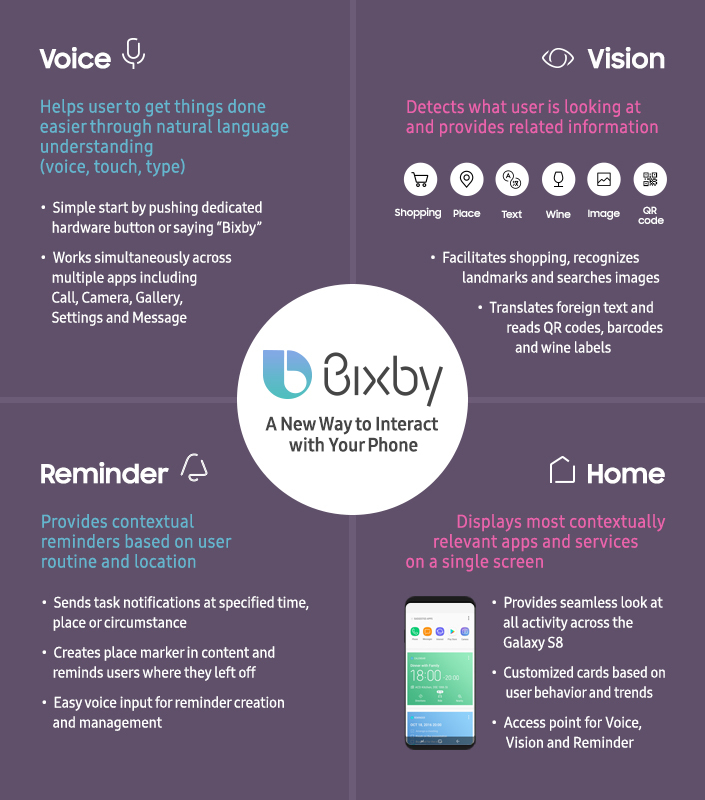 The Galaxy S8 and S8+ aim to overcome this challenge with Bixby, Samsung’s new intelligent interface that makes interacting with one’s device, services and apps more instinctive and seamless. Bixby was created to provide a more personalized experience to enhance the way people interact with their phones and the world around them. Bixby is not an ordinary voice assistant, but rather an intuitive and comprehensive interface that leverages contextual awareness to learn users’ habits and respond accordingly. Bixby offers four main features: Voice, Vision, Reminder and Home. 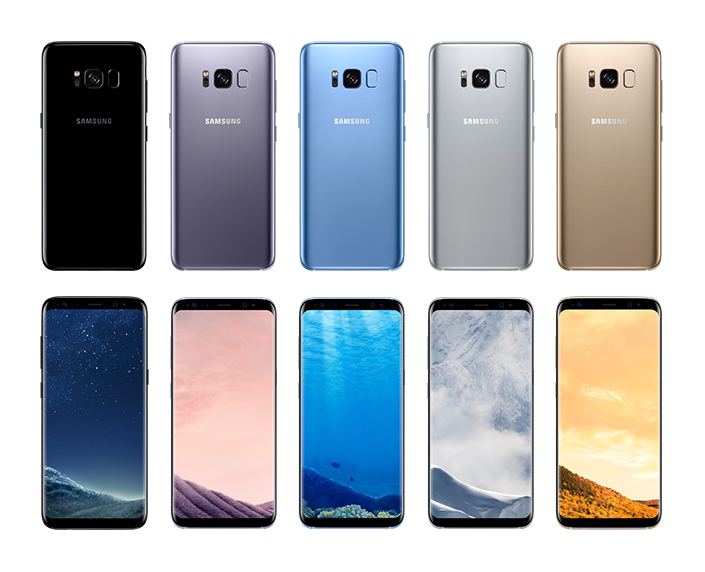 The Galaxy S8 and S8+ offer a robust portfolio of products and services, elevating the both devices experience for premiere mobile productivity and connectivity. 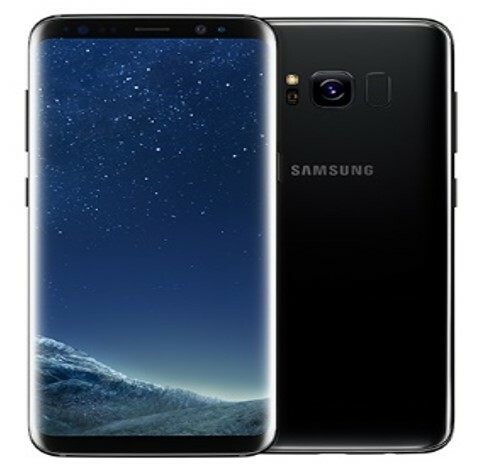 The Samsung Galaxy S8 and S8+ will be available starting on April 21, both the phones will be available for pre-order starting tomorrow, March 30th. It will be available in a rich color palette including Midnight Black, Orchid Grey, Arctic Silver, Coral Blue and Maple Gold. 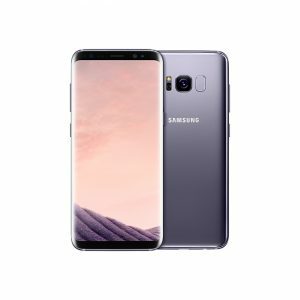 The Galaxy S8 is priced at $750 (Rs. 48,660) and the Galaxy S8+ costs $850 (Rs. 55,140). It also comes with earphones tuned by AKG by Harman in the box, which will be available separately for $99.